The commercial real estate market in Orleans Parish is currently 3.1 million square feet for lease and 3.7 million square feet for sale with a sale price of 266 million. 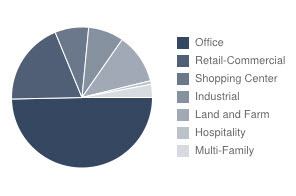 The office category comprises the largest sector at approximately 50% of the space for sale or lease, followed by retail, shopping centers, industrial, land and multi-family with the smallest supply on the market. The statistic that sticks out is the Days On The Market, which is a leading indicator of the strength of the market. The office sector which normally averages 274 days on the market shows a dramatic shift to 35 days an the market. The latest office sector sale averaged $65PSF, a 15% discount from the 12 month average, and the latest lease averaged $12.90 PSF, a 20% discount from the $15.98 PSF average the last 12 months. 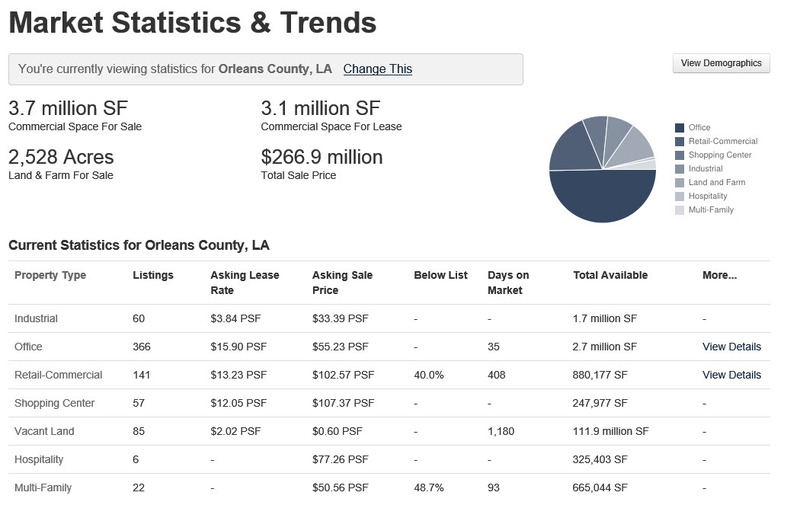 The table below shows the data for the Orleans Parish market. Average asking sale prices range from a low for industrial sector property at $33 PSF to a high of $107 for shopping center property, which follows the premise of Cap Rate, in that a property is valued at a multiple of the income, and more specifically should be the present value of future income streams, adjusted for risk. Lease rates range from a low on industrial property of $3.84 PSF to a high of $15.90 PSF on office property. The retail sale price is a higher multiple of lease rates than office space since retail sometimes includes a percentage of sales and office space often includes free rent and tenant improvement expenses.